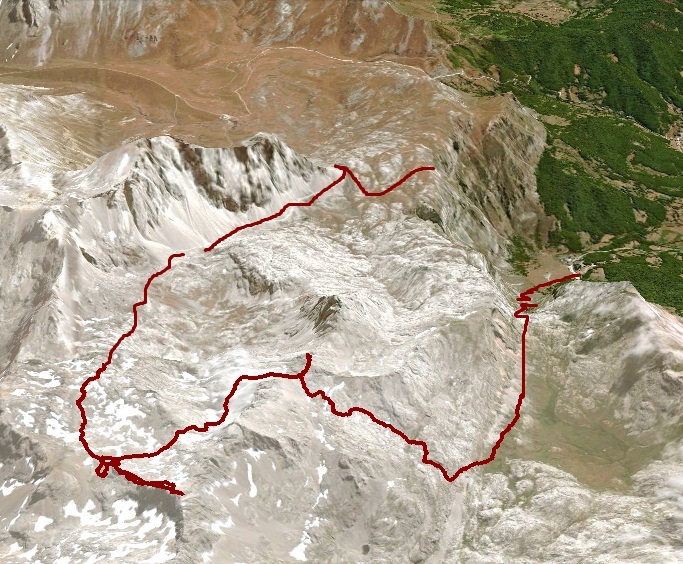 Route: Fuente De – El Cable – La Vueltona – Cabaña Veronica – Collada Blanca – Torre Blanca – Collada Blanca – Tiros de Casares - Torre del Hoyo Oscuro – Vega de Liordes – Tornos de Liordes – Fuente De. Two nice peaks and a great loop in a long day hike. Difficulty: Easy but long. Some parts of the route are no clearly marked. The cable-lift takes us from 1078m - “Fuente Dé” to 1834m - “El Cable”, the upper lift-station (1.834 m). Follow the gravel road (and the crowd). 1 km later the road splits, we continue West for another kilometer or so. When we reach to the point known as 'La Vueltona', the road bends sharply to the left. Here we abandon the road to follow the “yellow-white” marked trail up to Cabaña Veronica hut. On the way to the hut we can see some of the places we're going to visit today. Once in the hut (2.325 m), the next steps aren’t clear since several cairned paths begin in every direction. We have to gain some height, and then turn west following the cairns through the uncomfortable and chaotic limestone area of “Hoyos Sengros” in the direction of the “Collada Blanca”. From the Collada Blanca (2.370 m) the normal route on the NE ridge is a straight forward and non-technical climb. 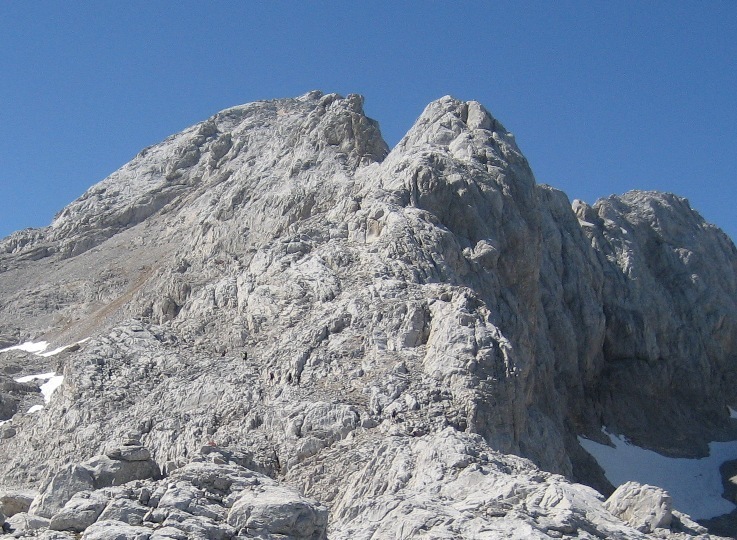 The summit of Torre Blanca (2.617 m) offers superb views of the Massif. Torre Blanca is part of a very long ridge, from Madejuno (2.513 m) to Torre del Llambrión (2nd highest peak in Picos de Europa). This is a very interesting mountain activity only for experienced climbers. Back to the Collada Blanca, we have to find the best way to gain the only possible access to the other valley at the feet of the Madejuno, a small pass at 2.374 m. called “Los Tiros de Casares”, trying not to lose too much height. There is no path at all, or at least we didn’t find it. From Tiros de Casares, we began the second ascension of the day, an easy climb to the Torre del Hoyo Oscuro (2.429m). Again views are great. Back to the pass, our route take us down through the Hoyo del Sedo” to the “Vega de Liordes” (1870 m). Vega de Liordes; A beautiful hue of green among the moonlike landscape. Now we follow the path eastward to connect with the gravel path that, through la Canal del Embudo and in a long and steep descent take us back to Fuente De. 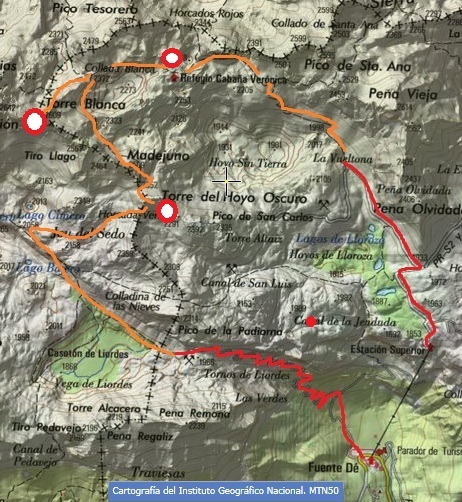 The track of the route only records the part between Cabaña Veronica and the beginning of los Tornos de Liordes. The rest of the route is clearly marked. 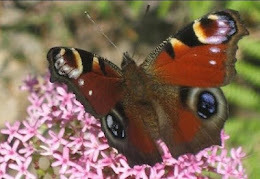 To hike/ climb is a dangerous activity and requires proper equipment and clothing, the owner of this page cannot be blamed by injuries caused to anyone who read this page for its info about the mountain, and eventually got hurt by doing so with reckless behaviour or bad weather conditions.